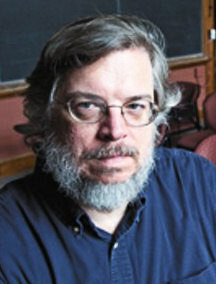 Robert Balfanz is a principal research scientist at the Center for Social Organization of Schools at Johns Hopkins University and a co-director of the Everyone Graduates Center. He is also the co-director of the Talent Development Middle and High School Project, which works with more than 100 high-poverty middle and high schools to develop, implement, and evaluate comprehensive whole-school reforms. His work translates research findings into effective reforms for high-poverty secondary schools. He has published widely on secondary school reform, high school dropouts, early warning systems and instructional interventions in high-poverty schools. It is through his efforts and those of his colleagues that the 2000 “dropout factories”—those high schools responsible for half of the students who fail to complete high school in America—have been identified and have become the focus of efforts to transform their performance or to close them. Balfanz’s work seeks to answer this question: How can extremely high needs middle and high schools be transformed to institutions that can support the success of all students, particularly those at risk of dropping out? The early findings have important implications. When they began, researchers found that secondary schools were structured on the belief that about 15% of students would need significantly more support than strong instruction could provide. Their work has now demonstrated that, in schools of greatest need, as many as 70% of students require comprehensive support that varies widely in nature. Some students need to fill large gaps in their academic skills and capabilities; others have only moderate skill gaps but also have social or emotional challenges that are barriers to their success. Balfanz and his colleagues initially thought, too, that students needed to hold higher aspirations for their future. They learned that, even in schools where 50-70% of students are in need of comprehensive support, almost all students have aspirations. Even students who have been arrested want to go to college. But many at-risk students are missing a month or two of schooling per year, and only one in five is graduating from high school. This indicates that the real challenge is to get students to connect their aspirations with their effort—to believe that effort can help them achieve their goals and to act on that belief. To achieve this result, adults must help students connect their aspirations to their work, develop confidence that there are real academic pathways to success, and understand the steps that can lead to that success. The research indicates that at-risk students need consistent, intensive support from adults in the system and the community, at least every week, and often every day. The most dramatic results come from continuous analyses of students’ skills and comprehensive efforts to attend to their needs. These efforts include smaller-group interactions and simple goal-setting exercises. Researchers have examined the beliefs and needs of adults as well as students in struggling schools and systems. The findings of a recent study of teachers’ beliefs about students’ potential are particularly telling. Teachers stated “all my students can succeed” then responded when asked that only 40% could actually attain college readiness—a minimum definition of success today. The work of adults to support at-risk students is demanding and necessitates support from the broader community as well as efforts within the school. Within schools, while support for individual teachers can help, it is generally not enough. Support must be a coordinated effort among groups. Collective efficacy, or system-wide support, is the most crucial element to improving student outcomes and closing achievement gaps. These supports include equipping and organizing teacher teams with critical skills and resources for student development. Team support, as opposed to individual teacher support, is significantly more effective in driving student achievement. Many at-risk students need individual support for social and emotional struggles that are endemic in the population and which social workers and community agencies can help to address. Even greater numbers need daily nagging and nurturing from a committed adult, who checks to make sure they are in school and their work is done, and who can mediate and advocate for the student with other adults in the school. Through their extensive work with hundreds of struggling schools, Balfanz and his colleagues have identified a tremendous need for entities and programs that rapidly move education research findings to practice. They have developed specific resources to guide reform efforts that include analytic tools to assess systems, tools to support comprehensive reform, and policy that supports system overhaul. Address the drop out crisis – the 2000 high schools and their feeder middle schools in the neediest communities.